While olive oil typically doesn't come with negative side-effects, it is pure fat -- which contains more than double the calories of carbohydrates or protein. Therefore, overconsumption can lead to weight gain, which may contribute to heart disease and some types of cancer, according to "The New York Times Health Guide." This is true of any olive oil, whether pure, virgin or extra virgin. These are all distinct classifications that denote the quality of the oil but not the nutrition content. 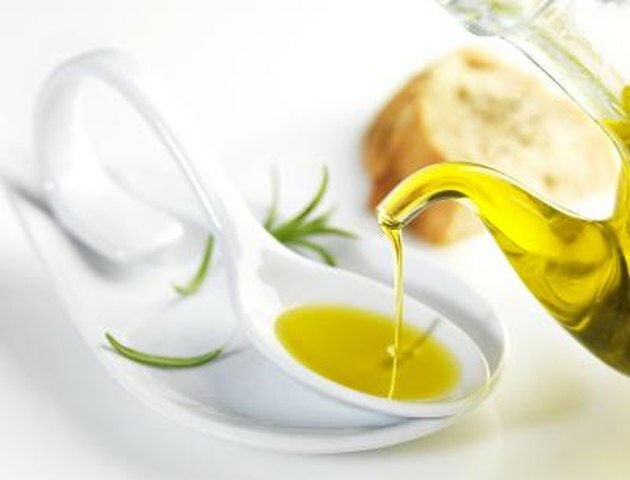 Although the high-calorie content means olive oil is best used in moderation, most of the oil's fat is monounsaturated, which is healthier than saturated fats from animal products such as butter. According to the Academy of Nutrition and Dietetics, monounsaturated fat reduces unhealthy low-density lipoprotein (LDL) cholesterol levels in the blood while increasing healthy high-density lipoprotein (HDL) cholesterol, possibly lowering heart-disease risk. Despite this benefit, the Centers for Disease Control and Prevention recommends limiting fats to 20 percent to 35 percent of total calories, so stick with just 1 teaspoon of olive oil drizzled on bread or pasta at meals.